With over 25 years of sales, operations, project management and customer service experience, Ed ensures the proper allocation of team resources to best support your business. He oversees all aspects of the organization, making certain that our clients’ business needs are being met, as it relates to their workplace issues. Ongoing satisfaction is our company’s highest priority. Ed is responsible for all aspects of the Scott Rice Team. Ron has been with the organization for 28 years, and after all this time he couldn’t be more passionate about the furniture industry. Ron and his teams are in the business of building relationships and creating opportunities where we can help our clients understand their interior space really matters, and a well planned space can truly assist with Engagement, Learning, Wellbeing, and Collaboration. At Scott Rice, Ron is responsible for the Business Development teams, SR Collective, and the Springfield, Lawrence and Manhattan markets. Steve has been with Scott Rice for 25 years and in the industry for 30 years. Steve was a contract furniture salesperson for 10 years before joining the Scott Rice management team. Steve helps direct the Scott Rice sales force, and is primarily responsible for new business development and the vertical markets of Government, Healthcare, and Higher Education. Steve’s background is a BFA in Interior Design and Architecture from the University of Kansas. Steve has been involved in leading most of the major projects Scott Rice has done in the vertical markets mentioned above. Doug oversees all aspects of the order process, including order placement and shipping information. Our operations personnel will ensure that all products and services are scheduled to meet your expectations and timeline. Before joining Scott Rice, Doug was a Facility Manager for 3 large companies in the KC area. That experience provided him the insights to understand that what we provide is important but is just one aspect of many within your organization. Judith leads the design team with over seven years of experience. She has been Lead Designer on projects across ten states and three countries; among those projects are Cessna Aircraft Company, IMA, MutualAid eXchange, Fishnet Security and various military and government installations. Judith will oversee your upcoming project during the design process and assist throughout the solution development phase. She will support your current and future facility needs with input on innovative product applications, extensive furniture design knowledge and accurate specification development. Shannon has practiced Interior Design in Kansas City for 9 years and has experience in multiple market sectors. After graduation, she began her career at DLR Group where she gained over 5 years of Education design experience. In 2010, Shannon took on a new position with Hoefer Wysocki Architecture, where she focused on Healthcare and Government design for 3 years. December 2013 brought a new opportunity for Shannon when she decided to transition over to the dealership side and began working for Kansas City’s Architecture and Design community, providing insight on product knowledge, design services and workplace solutions for all market sectors. As the general manager of Scott Rice Advantage, Mike manages a skilled team of certified technicians who perform routine service needs, warranty service issues and technology installation. He joined the Scott Rice team after spending 15 years in the development and marketing fields, and for the past four years, was with Scott Rice Manhattan. Mike is committed to helping you manage all of your service needs beyond the installation process. Casey started at Scott Rice in 1995 and has 19 years of experience in installation of office furniture. He has moved from Installation Supervisor, to Project Manager and now leads as Scott Rice’s Technical Service Manager. Casey is a Steelcase Certified Service Technician and has also been a part of the Steelcase Wood Solution’s “Tiger Team”. Casey occasionally will install and lead jobs as well as project manage and oversees a full time crew at Garmin. Casey works with our sales team and integrated companies to help provide quick and easy service solutions. Casey has been working on incorporating mobile technology to the Service Department and Installation to help before, during and after the completion of projects. CIC’s goal is to provide each and every client a complete job done on time and on budget. Kim has over 25 years of Construction, Installation and Project Coordination experience. She has been with CIC for 17 years and oversees Construction, Installation and AT projects along with administrative aspects of CIC. With Kim’s support, she provides stability within the division. John is responsible for managing all facets of the sales and distribution of Steelcase floor-to-ceiling Privacy Wall in the Kansas City market area. Working with Steelcase factory-direct associates, customers and the Architect and Design community, John provides knowledge, resources and information that is critical to successfully executing floor-to-ceiling Privacy Wall solutions. John has been in the office interiors industry for over 32 years. Some of his major clients include H&R Block, Garmin International, Kansas City Power & Light, Church of the Nazarene World HQ, Blue Valley and DeSoto school districts. Mark Wilson will help with the move management portion of this project. Mark has been in the furniture industry for 25 years and has been a project manager with Scott Rice for the past 15 years. Mark has been involved with projects such as Sprint, AMC, Humana, Boeringer-Ingelheim, Perceptive Software and Nazarene World Headquarters. Mark’s leadership allowed Scott Rice to deliver over 15 floors of walls and furniture for the H&R Block project without one specification error. Jim graduated from the University of Kansas with an Architecture Degree and has been in the flooring industry for over 20 years. Jim began Image Flooring in 2000 as an independent company and then teamed with Scott Rice Office Works in 2004. 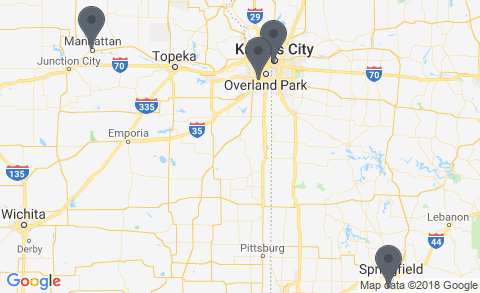 Scott Rice’s integrated flooring companies have successfully managed projects including; Sprint Center, Kauffman Stadium, AT&T, Capitol Federal Savings, multiple local school districts, and various healthcare organizations throughout the Kansas City area. Cindy has been with the Color Art Palette for over a year. Her career encompasses many years of building customer relations in Southwest Missouri. Her prior furniture industry experience was with Springfield Office Supply. Cindy is passionate about educating the client on the significant drivers and disrupters that are changing how people learn and work. She focuses on the ever-changing needs of people, technology and the places they learn and work. Her belief is that to drive growth we need to blur the edges of what the workplace/learning environment means. Prior to joining the Scott Rice Manhattan team, Karla worked for as a Project Administrator in the aerospace industry in Wichita, KS where she supported the executive team from concept to completion for any interior remodels and expansions. Karla decided to join the dealership side and spent 4 years managing the furniture division of a Steelcase dealership in Nebraska. She has a business, design, Master’s degree, and has completed training courses for project management. Karla is on the front end of the process in helping develop business relationships, supporting the Architectural and Design community and working on all aspects of a project. As the Director of Education Solutions, Lance will be your resource for the latest educational insights and is on the forefront of education trends. Lance is responsible for the development, promotion and implementation of all educational and professional development curricula, products, services and publications. As technology continues to advance and shifts in pedagogies emerge, furniture becomes a vital component in agile learning environments. Lance brings a unique insight to how the active learning ecosystem can be utilized both for individual focused learning and collaboration.